If you’ve seen the “mannequin challenge,” then you probably also have the “mannequin challenge” song stuck in your head. If you’ve been humming it without knowing what it is, here you go: Rae Sremmurd’s “Black Beatles,” which features Gucci Mane. The song came out way back in August on their SremmLife 2 album, so the challenge isn’t a way to promote the tune, but it certainly has helped. The “mannequin challenge” is one of the most ridiculous things you’ll ever see on the internet, in my honest, humble opinion. It’s just a bunch of videos with (usually) kids freezing in place like mannequins, with “Black Beatles” playing in the background. No one knows why. 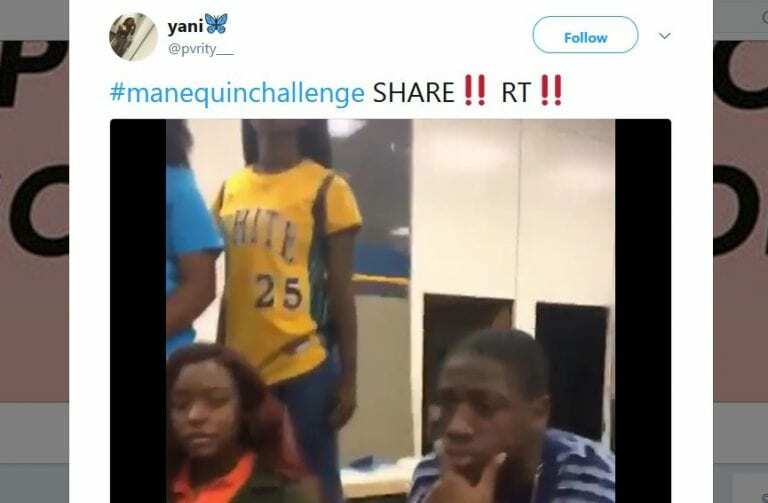 The first #MannequinChallenge ever is reportedly from Edward H. White High School in Jacksonville, Florida, and since the song was playing in their original video, others have followed suit. This has apparently been going on since late October, and a quick search for the hashtag produces more than 100,000 videos on Instagram. It won’t be long until someone is going to ask you to make one with them at work (and I sort of think you should decline the offer, but that’s just me). Also, by the way, Hillary Clinton did one on Election Day without the song. I mean, it is kind of amusing. Rae Sremmurd seems to think so at least. 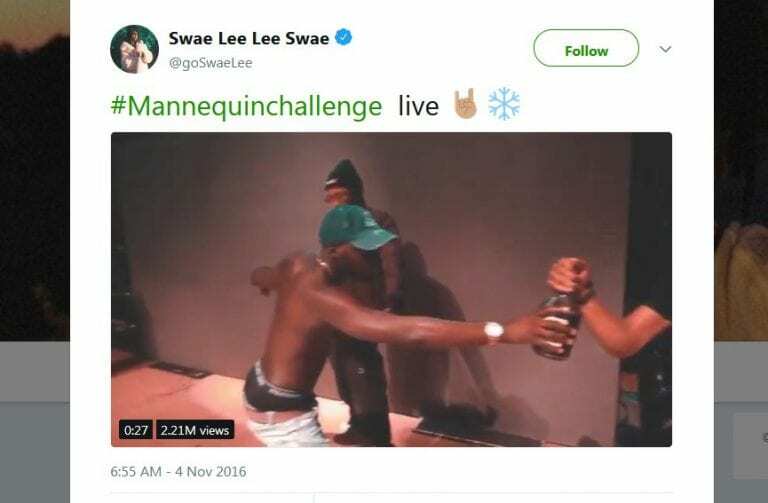 The two brothers who make up the group, Khalif “Swae Lee” Brown and Aaquil “Slim Jxmmi” Brown, did one on stage at one of their shows last week in Denver. The crowd even stoped to wait and see when they can start dancing. That girl is a real crowd pleaser/Small world, all her friends know of me/Young bull living like an old geezer/Quick release the cash, watch it fall slowly/Frat girls still tryna get even/Haters mad for whatever reason/Smoke in the air, binge drinking/They lose it when the DJ drops the needle. 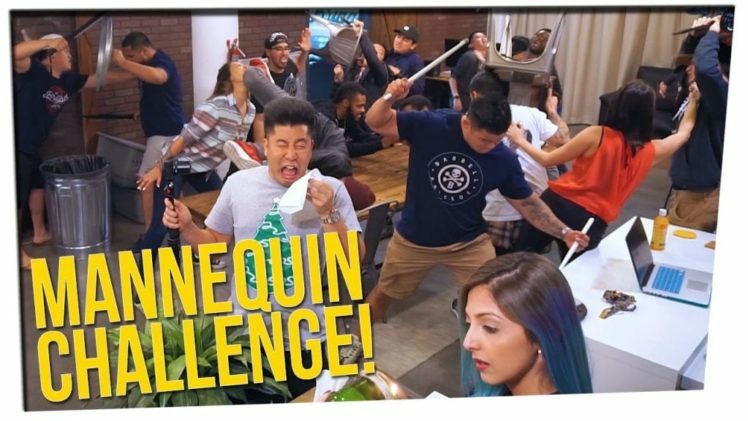 You could probably read into that to make a connection to the challenge or mannequins, but that might be taking it a little too far. I think the best answer is that teens did it to the song by chance and others just kept going with it. There are some videos that use other songs, so it works with or without Rae Sremmurd.